At All Seasons Exteriors, we take chimney care and fire prevention very seriously, and will do whatever is necessary to keep your New Canaan chimney and fireplace system working safely and efficiently. We specialize in dust-free cleanings of residential, commercial, & property management chimneys and dryer vents, and can handle just about any maintenance or masonry issues you may have including chimney repair and chimney restoration. We have the skills, the products, and the know-how to get the job done right! Heavy use of your wood burning fireplace produces a vast amount of creosote. Creosote is a dangerous substance that can build up with heavy fireplace usage and it will stay inside of your chimney until it is removed. 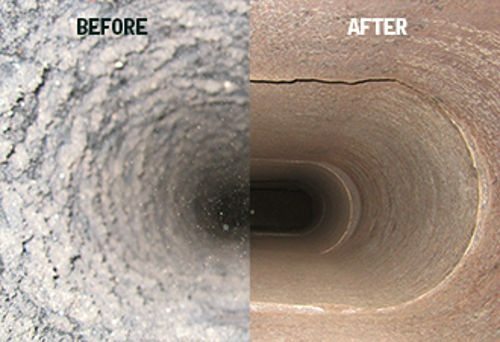 When creosote builds up and is not properly cleaned, it reduces the proper airflow of your chimney, which in turn makes it dangerous to your health. Creosote is also the leading cause of chimney fires. When it builds up too much it turns into a tar-like fuel that sticks like glue to the chimney lining, which in turn feeds the fire continuously. The safest way to remove creosote is to call us as we have the right tools and experience to safely remove the chemical. Our owner is involved in every step of your gutter project from start to finish. No questions go unanswered and no concerns are overlooked. You are not just making an investment into your home or building, you are really making an investment into us, which is why we offer a 100% workmanship, hassle-free guarantee! No other company makes a guarantee like this! © 2018 All Seasons Exteriors. All rights reserved.